Sitting on the porch, he began to make plans for yet another day. Ever since his arrival, twelve years ago, he became attached to his daily routine. As if it would help him to survive. He worked very long hours, day and night, until early morning—the constant activity banging away his memories. His few friends, Brazilians like him, also didn’t have any time to spare. Life’s meaning was reduced to the daily grind... In the cold of the morning, the light blue skies looked ever lighter. In Brazil, the skies were of a deeper hue, the dark blue contrasting with the intense green color of the vegetation. Eventually, he closed his eyes. In his solitude, he became accustomed to daydreaming. Recurrent images of the past came to him sequentially, impregnated with nostalgia. That sadness which used to get stuck in his throat had long left. He recalled the day he had decided to leave. His decision was made while he sat on the beach, with no job and no hope, staring at the reflection of the sun on the water pointing towards the horizon. Maybe he could go somewhere else and live in peace... He packed only the bare essentials. He selected only his best clothes from the closet, picking two books he loved to read and the portrait of his mother. In time, sadness would be sure to arrive, an uninvited guest, an intruder unaware of the profound disturbance it would cause. Looking around, he tried to memorize every detail in the room. He was certain that he would never sleep in that room anymore. On that cold morning, windy like the conditions in his homeland, he observed her car from a distance. Drawing nearer to meet them, he was convinced his life would never again be the same. Laura was there, at her mother’s side, to meet the “young man who became a doctor in France.” He greeted her, rather shyly, and he used his hand to clear the snow from his forehead. It had been snowing for days, incessantly. Laura held a tulip pot on her lap. Inside there was a red tulip, full of life, the color of blood, hungry to be fed and caressed. Who did he love most, Laura or the tulip? For him, both were inseparable from that moment on. Abruptly and without any pretense whatsoever, Laura occupied his lonely life. He still remembered the day she moved in with him. She climbed the steps, carrying a small suitcase, and with that sense of wonder and suspense, asked him to bring up seven small pots from her car, her tulip collection. She took hold of half the closet, a little corner on the veranda, a bookcase in the living room. Entering the kitchen, she became the lady of the house. Brazilian music, food, and smells invaded the apartment after so many years of seclusion. Laura brought back an abundance of memories, long repressed by suffering. His body swayed to the music, the taste of his favorite foods, the scents and colors of his past. That night, he made passionate love to Laura. Laura went away just like the tulips. Hiding her tears. One day, though, she would be back. Once again he, an unsung hero in a foreign land, did not look back. CLARISSE BANDEIRA DE MELLO was born in Rio de Janeiro, Brazil, and moved to Florida in 1990. With degrees in the Portuguese and English Languages and Literature, and a Master’s Degree in Spanish Language and Literatures, she works as a translator, interpreter and is a former adjunct professor at Florida International University. She has several works on Portuguese translation and teaching in academic publications. 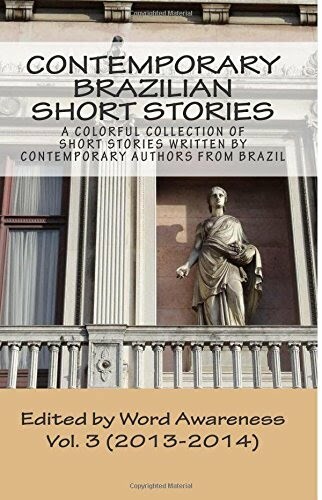 Clarisse writes short stories and poems, having received literary awards both in Brazil and the United States. Reading, cooking and traveling are her favorite hobbies, as well as participating in literary groups for the study of Brazilian and Portuguese literatures. She lives with her husband in Weston, FL, has two daughters and four grandchildren.